So, for those of you who don’t know, NetGalley is just about the greatest thing ever. 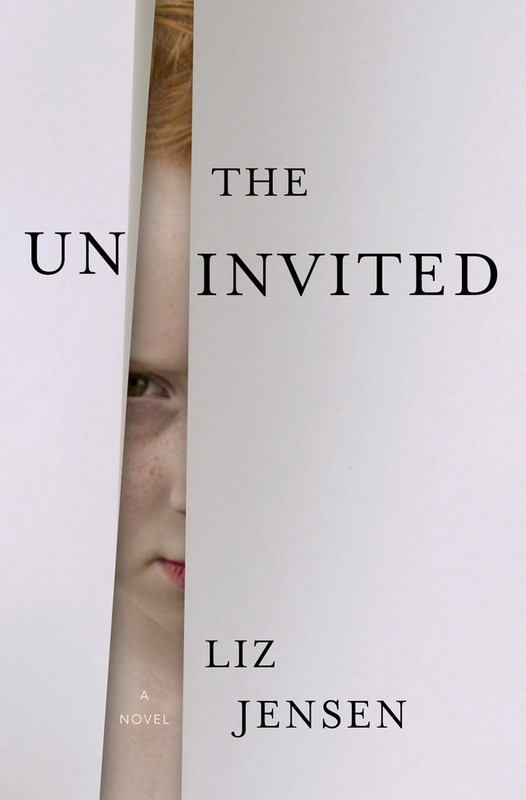 If you’re a reviewer or blogger, you can get FREE e-galleys of books you’re interested in, some of which haven’t been published yet (as is the case with The Uninvited). All you have to do is sign up and request a book, and if you’re approved, they’ll send it straight to your Kindle (or Kindle app, if you’re an Apple geek like me). It’s pretty awesome. Anyway, The Uninvited. I happened upon this title in a periodic email that NetGalley sends based on your preferences, and I was immediately intrigued by the chilling synopsis: one morning, a little girl calmly walks up to her grandmother, puts a nail gun to her neck, and fires. The experts think this is an isolated incident, a tragic accident; but the experts are wrong. Suddenly, all over the world, children begin killing their families. Hesketh Lock, an anthropologist at a PR company called Phipps and Wexman, has his own troubles to worry about, including a bizarre scandal in the Taiwan timber industry. But the news about the children immediately captures his attention, because the girl who killed her grandmother—who he begins to think of as “Child One”—is his stepson Freddy’s age. Hesketh’s Asperger Syndrome has gotten in the way of more than one relationship in his life, but he has an uncanny ability to spot behavioral patterns that helps him connect the dots faster than most—and he soon discovers that the apparent suicide of his contact in Taiwan could be connected to the gruesome child-driven murders happening all over the world. As Freddy’s behavior gets increasingly strange, Hesketh must race against the swift deterioration of society to understand the brutal killings—and save his son. Okay, I just have to say that I am in love with the first 95% of this book—it was very Stephen King-esque and thus right up my alley. There were some VERY interesting twists, although I would have to say the most unexpected one for me was less a plot-driver and more of a background thing. Jensen captures the chaos of a disintegrating world very well, and it was interesting to see it all through the eyes of someone with Asperger’s. (There were definitely some cringe-worthy social interactions that made me wonder if she modeled Hesketh just a bit on Dr. Sheldon Cooper from The Big Bang Theory.) The build-up and suspense were great; characterization was a little slim (not a lot of character exposition, really, except for Hesketh) but though most characters were one-dimensional they felt pretty real to me. Especially Hesketh’s boss, Ashok—I really liked him, even though we don’t really see a lot of him. The reason I am in love with only the first 95% of the book is that the last 5%, the ending, felt like a let-down to me. I won’t tell you the reason for all the killings and the subsequent strange behavior of the children who perpetrated said killings, but it seemed either like she couldn’t think of anything else or she had intended from the beginning that this book would have a heavy-handed message, and I honestly can’t decide which is worse. I’m not a big fan of books with an “agenda,” unless it’s explicitly stated in the title (i.e. anything written by a politician/economist/etc. ), in which case I’ll generally know to avoid it. Especially novels with an agenda—no thank you. And though the agenda wasn’t obvious until the end, I think it might have spoiled this one for me. Like Wall-E. After the first few times I saw it, it was a little hard to watch again without feeling bombarded by the heavy-handed environmental message it embodied. Sigh. That’s not to say you shouldn’t read this book, though, because you totally should, if only for the first 95%. It’s a great one for anyone who likes intriguing thrillers and doesn’t mind creepy kids. PPS: This is an edit, and I apologize for forgetting to include this initially, but: the e-galley is a bit weird in that some of the formatting is off and for some reason, lots of "f"s are missing. I haven't quite figured out the pattern but if there's an "f" in the middle of a word, it may or may not show up, sometimes with a space to show something was there but sometimes not. If this is a weird thematic thing that I just didn't get, then...I don't know. But I'm guessing it's the fault of the e-galley somehow. I read Jensen's The Rapture several years back, and I don't remember a ton about it other than that I didn't care for it (so maybe I'm not the best judge), but I do remember that I felt similarly let down by the ending. Hmmm. Maybe she's the M. Night Shyamalan of novelists? I do really want to read this though. I hadn't heard of it before, although I have The Rapture on my TBR. I'm going through a bit of a creepy book phase at the minute though, so I'm off to request it! I love creepy books, partially because I can't really stand creepy movies but need to get my creep-quota in :) enjoy it! Great review. I definitely want to read this one, although my son is called Freddie so it might freak me out to read about a creepy child with essentially the same name! I have read a few of Liz Jensen's books and am reading another at the moment, I've had quite mixed experiences of them to be honest although I still want to read through her entire back catologue as her books always seem to have unique plots and her style is readable yet intelligent. Yeah, it's definitely worth it even if just for the beginning. Looking forward to hearing what you think! I am in the midst of this e-galley, and I do love it so far. I'm interested to see how I think of the ending compared to your review. And yes, every time "ff" or "fl" appears in the galley, it's invisible...it's driving me INSANE!!! It's worst when removing the "ff" or "fl" (I've noticed single "f"s going away when attached to some vowels, too) makes a completely different word and then you're like "....wait. What??" Like the little girl in the beginning has "butterfly pajamas" but it comes out as "buttery pajamas" and I was very confused for a minute there. I am so excited for this book, I have it from Netgalley as well, and after reading your review I want to get to it faster. I love that you describe it as Stephen King-esque because I absolutely love his writing! I'm interested to know about all the twists and why everything happens. As for the e-galley issues, I'm a bit nervous, but I find it happens a lot when I read books from Netgalley on my kindle app... oh well. Great review, Bridget!